Browse: Home / 2009 / July / 17 / Best of 2009… so far. I’ll admit off the bat that I’m horribly behind on listening to music that’s been released this year. I know there are some gems out there that I’ve missed, and hopefully I’ll be able to rectify that by the end of the year. For now, though, here are five albums I’ve been enjoying so far in 2009. 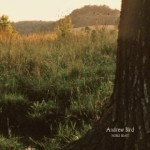 Andrew Bird: Noble Beast. It’s nice when you have high expectations for an album, and the album winds up totally delivering. Andrew Bird’s latest offering stays true to his eclectic indie-alt-folk style, with whistling and nonsensical lyrics and intricate, layered music. But he’s made this album to be a bit more accessible to people unfamiliar with his music, with songs that have catchy hooks and — gasp! — choruses. Noble Beast was released on January 20, by Fat Possum Records. Purchase Noble Beast and other fine recordings. Dave Matthews Band: Big Whiskey & The GrooGrux King. A rather bittersweet new album from the Dave Maththews Band: there are some fantastic songs on here, and it really reminds me of the intensity found in some of their earlier recordings, but it’s also the last release which will include LeRoi Moore, the band’s saxophonist and a founding member, who died while the album was still in pre-production. Sure, Matthews’ lyrics are not always great, but the whole album is bigger, more raw, and perhaps more true than any of their other releases. Big Whiskey & the GrooGrux King was released on June 2, by RCA Records. 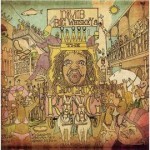 Purchase Big Whiskey & the GrooGrux King and other fine recordings. Phoenix: Wolfgang Amadeus Phoenix. This is one of my guilty pleasure albums of the year so far. It’s a little pop-rock-ier than my tastes usually run to, but it’s a great album to just put on and enjoy. It helps that the song are catchy, with some interesting lyrics. I mean, “Lisztomania” references freaking Franz Liszt. How many other indie pop-rock-whatever groups are out there name checking dead composers? 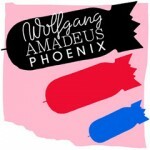 Wolfgang Amadeus Phoenix was released May 26, by V2 Records. Purchase Wolfgang Amadeus Phoenix and other fine recordings. 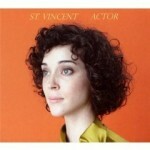 St. Vincent: Actor. I’ve got to admit, I am fairly late to the St. Vincent train. I’d managed to miss out on catching her first album, Marry Me, writing her off for some reason as another twee, vaguely experimental act that would annoy me. Actor has generated a fair amount of buzz, though, so I checked it out and am so glad I did. Yes, her sound’s pretty experimental at times, but nothing so out there that it’s distracting. She’s got a great voice and is making some truly interesting music. Actor was released May 5, by 4AD. Purchase Actor and other fine recordings. 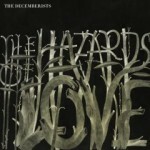 The Decemberists: The Hazards of Love. Speaking of interesting music. This album is so ambitious and so epic, I don’t even know where to start. It’s a concept album, it’s an indie rock opera, it tells a story, it’s just amazing. Several other familiar names from the indie music scene are guest artists on the album, including Lavendar Diamond’s Becky Stark, My Brightest Diamond’s Shara Worden, and My Morning Jacket’s Jim James. Shara Worden in particular gives a very striking performance. The Hazards of Love is something that really needs to be listened to from start to finish; a few songs can stand on their own, but it works best as one big piece of music. The Hazards of Love was released May 24, by Capitol Records. Purchase The Hazards of Love and other fine recordings.